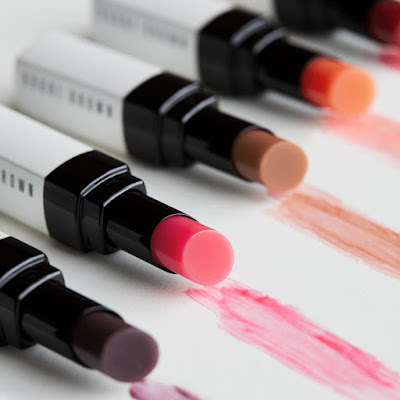 For natural looking lip tints, Bobbi Brown have released three new shades to their Extra Lip Tint Collection, RRP $54. Pictured above features their newest shade in Bare Raspberry, which is this luscious rosy, berry shade. It looks very natural on the lips and essentially works with the natural lip tone to enhance a rosy tint shade. Furthermore if you're after a subtle look for the lips, then you may love this range. These are super lightweight, sheer and incredibly nourishing for the lips. It's the perfect pick-me-up lip balm for everyday as it adds a little tinge of colour for the lips. What I mostly love about the Extra Lip Tints is that they easily blend in with your natural lip colour which is amazing. 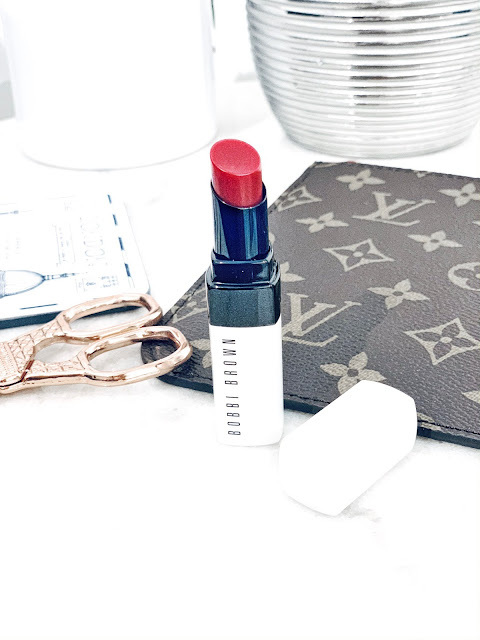 There's no sticky feeling with these lip tints and I have been using it as an everyday lip balm, with the added bonus of the lip tint colour which I love. The Extra Lip Tints by Bobbi Brown is available in 6 shades and you can check them out on their official page here. They contain a blend Olive, Avocado and Jojoba Oils which nourish and condition your lips for everyday. 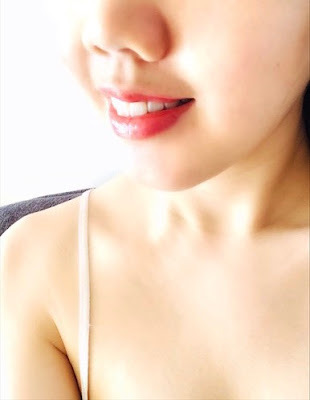 I am wearing Bobbi Brown's latest shade Bare Raspberry from their Lip Tint Collection. I love how natural and subtle looking it is making it perfect for everyday wear. It's not too heavy like lipstick which is why I always have this in my purse!